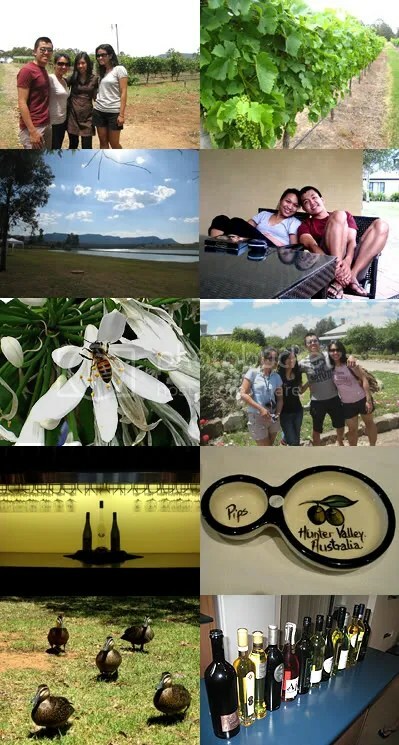 So that the 3 day long weekend holiday doesn’t go to waste, the boy’s family decided to take a trip to the Hunter Valley – the parents, the boy, his sister, her bestfriend, and me. It was a fun, relaxing weekend, I tell you! Where there’s no set itinerary, no buses, trains, or taxis to catch, no time restraints, and where the food, wine, and great company overflowed. 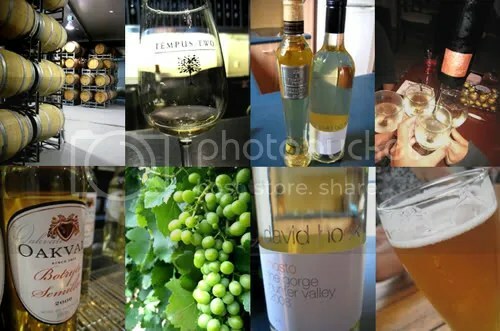 We went to 4 wineries – Tempus Two, McGuigan, Bluetongue Brewery, and Oakvale – and a few specialty shops, including the Hunter Valley Gardens and the Hunter Valley Chocolate Factory. The wine was fantastic, the selection of cheeses, dips, infused oils, and jams were endless, and I was just in foodie heaven! 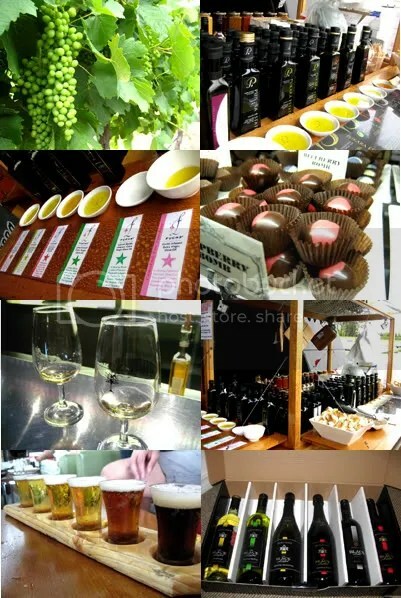 I instantly went straight to the whites and tasted the usual favourites: Riesling, Semillon Sav Blanc, Chardonnay, Moscato, and the uber sweet Botrytis Semillon dessert wines. The boy and I bought about 6 bottles between us two – 2 Rieslings, a Chardonnay, a Moscato, a Pinot Gris, and a Botrytis Semillon. He also got himself a 6 pack Bluetongue Traditional Pilsener from the Bluetongue Brewery… after trying out their 6 sampler paddle. Accommodation, travel, and food were paid for by the boy’s parents, so I’m really grateful. They just wanted the family to get together for a trip and I am so glad to be part of it. I brought home some local products, including quince paste, brie, lavosh crackers, and a couple of bottles of wine. I also tasted one of the best garlic infused extra virgin olive oil, and I am definitely getting a bottle as soon as I see one in Myer or the Food Hall in David Jones. I love these small trips to discover different pockets of Australia. Everytime I see a different side of this country I now call home, I find a renewed sense of gratitude to the country that adopted me, and a genuine feeling of wonder and amazement at the beauty of this land. Hurray for more trips to more beautiful places in Australia! Sunbeam Mixmaster Cafe Series	Happy 2009!